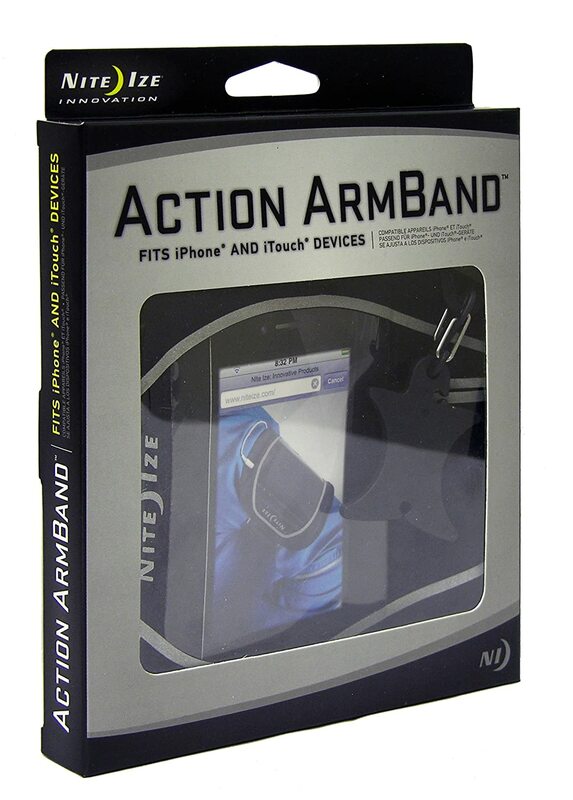 Stay Fit This Summer with the Action Armband from Nite Ize!! Working out is always more fun when jamming along to a favorite playlist, and with the Action Armband fitness gurus have a safe place to store their listening device out of harm's way. Made from a durable and flexible material with a seamless design, the armband maintains a sleek appearance while gripping snuggly yet comfortably to the upper arm. It also includes a clear, touch-responsive TPU so phones are still visible and fully accessible as well as protected. Never ones to forget the little things, Nite Ize also designed the armband to include strategic openings at the bottom and top for easy headphone access, a rear slot to fit the important things like driver's licenses and credit cards, and a handy S-Biner Key Clip. Users will never have to fret about leaving their wallets unattended in a car while hiking, biking, or rowing thanks to Nite Ize. The Action Armband is available in two sizes. 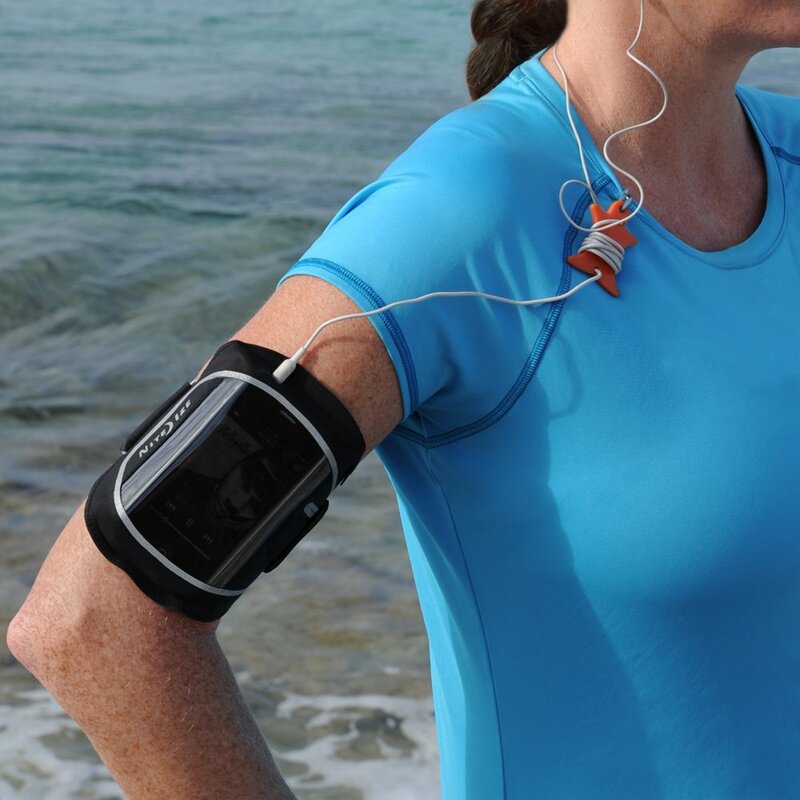 As someone who enjoys running and having his tunes go with him when he runs, I am always looking for a great way to keep the music with me without snaking cords here and there. I keep music on my IPod Touch, but in the past have not used it while running because I did not have a good case. This is a bit sad seeing that I know that it would work well if I did have such a case. That being said, after using this for a few runs I have to say that I think I found the case I was looking for. What I liked most about this was that it fit my IPod in the case with the case that I have it in on it, and what's more it that the Nite Ize is comfortable around my arm too and stays put, not sliding down like others I have tried in the past. I also like the protection that the Nite Ize provides the phone itslf. It seems like even if it was raining that I would still have protection for the IPod, but I cannot say if this is in fact the case as I have not had the chance to try this in such conditions as of yet. On top of all of this, the case also had a lot of room within it. Not only could I place my IPod in this but there was room for other items as well. Thus, if I wanted to have my ID, Credit Card or Cash or other such items, there is room for it in this as well. As I mentioned, this is a great product that works very well. Thus far I am very impressed and plan to keep using this far into the future!